What Can Racial Discrimination Explain? From the late 1940s to the mid-1950s, black youth unemployment was slightly less than or equal to white youth unemployment. Today, black youth unemployment is at least double that of white youth unemployment. Would anyone try to explain the difference with the argument that there was less racial discrimination during the ’40s and ’50s than today? Some argue that it is the “legacy of slavery” and societal racism that now explain the social pathology in many black neighborhoods. Today’s black illegitimacy rate is about 73 percent. When I was a youngster, during the 1940s, illegitimacy was around 15 percent. In the same period, about 80 percent of black children were born inside marriage. 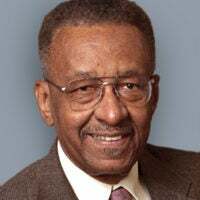 In fact, historian Herbert Gutman, in an article titled “Persistent Myths about the Afro-American Family” in The Journal of Interdisciplinary History (Autumn 1975), reported the percentage of black two-parent families, depending on the city, ranged from 75 to 90 percent. Today, only a little over 30 percent of black children are raised in two-parent households. The importance of these and other statistics showing greater stability and less pathology among blacks in earlier periods is that they put a lie to today’s excuses. Namely, at a time when blacks were closer to slavery, faced far more discrimination, faced more poverty, and had fewer opportunities, there was not the kind of social pathology and weak family structure we see today. According to the National Assessment of Educational Progress, sometimes referred to as the Nation’s Report Card, nationally, the average black 12th-grader’s test scores are either basic or below basic in reading, writing, math, and science. “Below basic” is the score received when a student is unable to demonstrate even partial mastery of knowledge and skills fundamental for proficient work at his grade level. “Basic” indicates only partial mastery. Put another way, the average black 12th-grader has the academic achievement level of the average white seventh- or eighth-grader. In some cities, there’s even a larger achievement gap. Is this a result of racial discrimination? Hardly. The cities where black academic achievement is the lowest are the very cities where Democrats have been in charge for decades and where blacks have been mayors, city councilors, superintendents, school principals, and teachers. Plus, these cities have large educational budgets. I am not arguing a causal relationship between black political control and poor performance. I am arguing that one would be hard put to blame the academic rot on racial discrimination. If the Ku Klux Klan wanted to destroy black academic achievement, it could not find a better means for doing so than encouraging the educational status quo in most cities. Intellectuals and political hustlers who blame the plight of so many blacks on poverty, racial discrimination, and the “legacy of slavery” are complicit in the socio-economic and moral decay. But one can earn money, prestige, and power in the victimhood game.